When space becomes scarce, it is up to clever thinking to see if you can conjure up a little more. But for these homeowners in Kensington who were expecting a little addition to their family, time was of the essence. So, what were they to do? 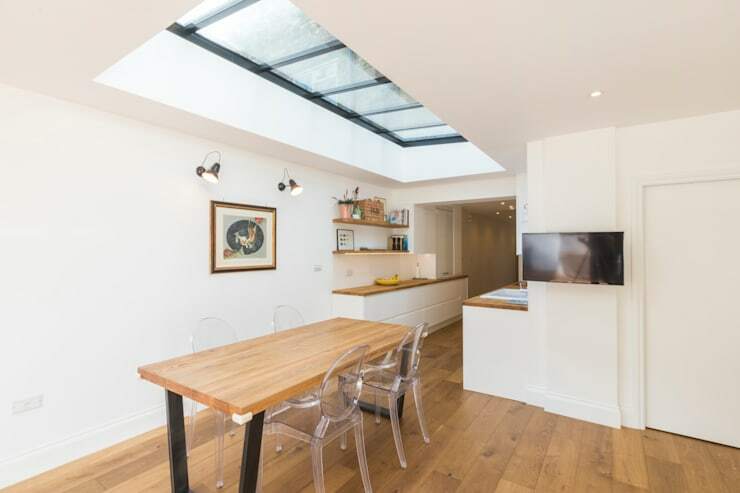 First up, they contacted the professionals at Totus to take control of the situation, which was to design a low-lying extension at the rear of their house in order to gain more space and open up the internal setting. A shared kitchen and dining area would be the main feature of this reworked space. As we can see here, the updated home has been redesigned with a clear emphasis on openness and a smarter use of space. 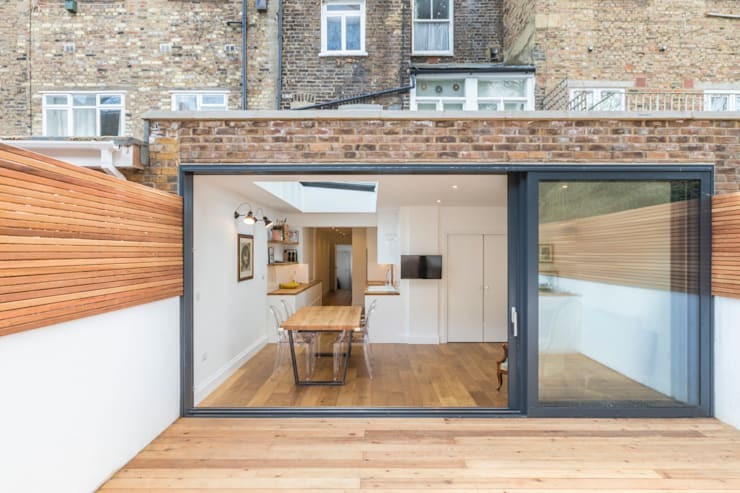 At the rear, the single-storey extension was designed to be as open and free-flowing as possible, which is why glass panes in the form of sliding doors were added which could allow the interior setting to establish a firm link with the exterior spaces. An ugly deck will definitely pull the entire space down with it. Fortunately, this particular one was masterfully constructed. Built as one holistic structure, timber seating is raised alongside the edges of the plant boxes positioned at the rear corner of the garden. Can’t you just see the young couple with their little one spending some quality time out here? For the interior setting, the design professionals ensured that the new dining area is bathed in light and presents fabulous views of the expertly crafted garden. And when the weather allows for it, al fresco dining is scheduled on that simply scrumptious wooden deck outside. Although on first impression the reworked kitchen appears quite grand in terms of size, it’s relatively compact in a lot of ways. This cooking space epitomises a perfect arrangement that makes the best of the available space. Just see how those timber kitchen surfaces and a colourful backsplash act to break up the dominance of the white colour palette. To add to the whole minimalist feel, appliances are hidden away inside the cabinets. 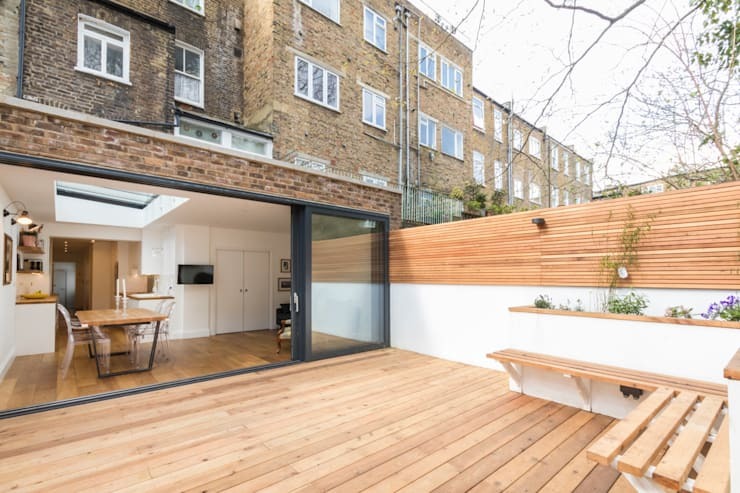 The open-plan layout is designed to maximise exposure to external light. 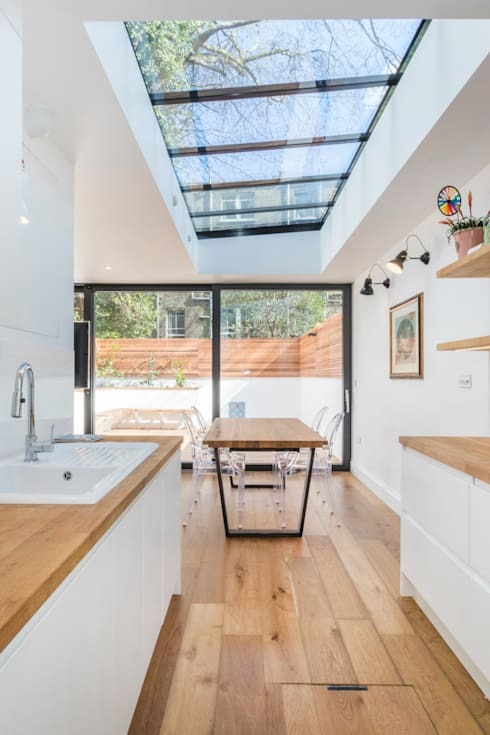 As seen in the image, skylights, windows and glass doors assist to pull sunshine deep into the internal space, where it can bounce pleasingly around on those snow-white surfaces. Before we depart, we take one quick look at the renovated bathroom. 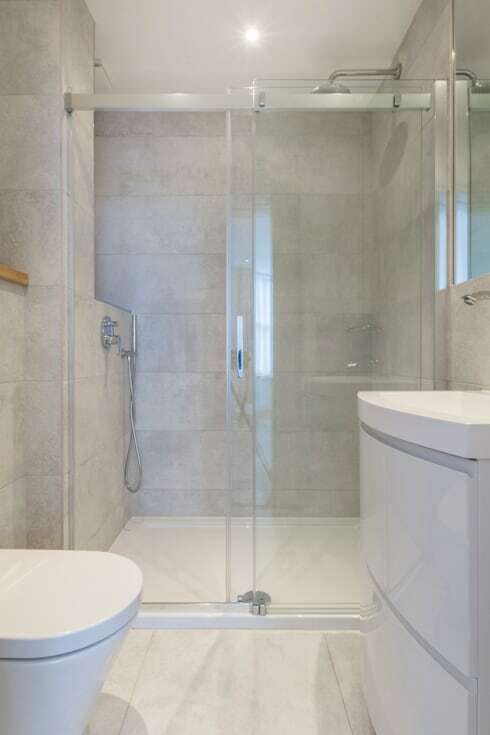 Bright, fresh and impressively large, this bathroom design is perfect for a large household (which this family will soon be). An intuitive layout, paired with lightly toned and transparent materials, is what adds so much visual space in here. 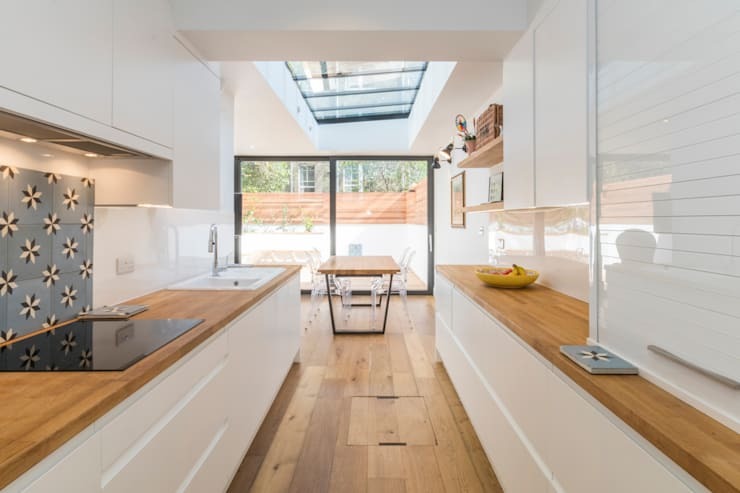 And would you believe that this entire project (from the overall structure to the tiniest detail in the kitchen and bathroom spaces) was completed within only 15 weeks? Check out these 30 pictures of beautiful bathrooms for your inspiration.